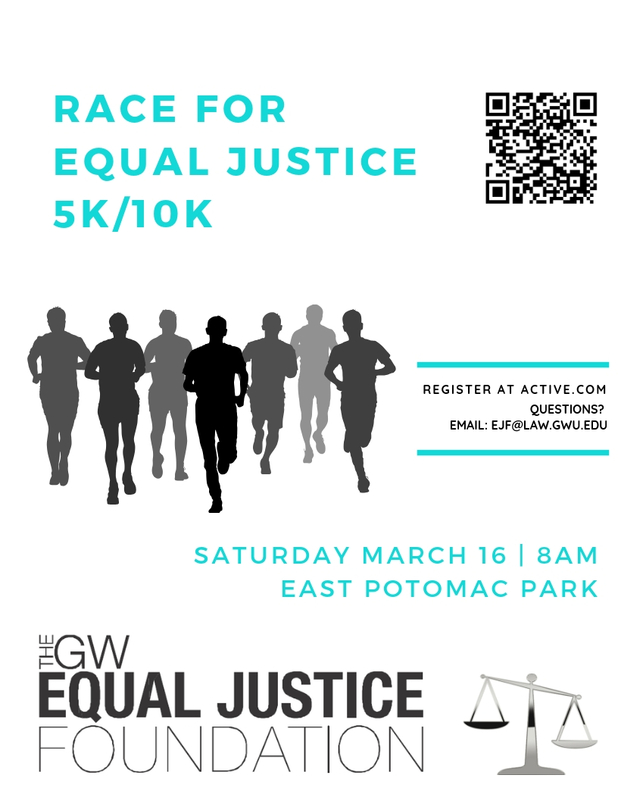 GW Law School’s Equal Justice Foundation is having our annual 5k/10k Race for Equal Justice on March 16, 2019 at scenic East Potomac Park in Washington DC, with both races beginning at 8:00 am. Come and enjoy a beautiful spring morning along the Potomac and support our cuase of expanding access to justice to all communities. After the race, enjoy complimentary snacks to refuel! Don’t wait to sign up as prices will increase! Unfortunately due to National Park Service regulations, we will not be able to offer on-site race registration. 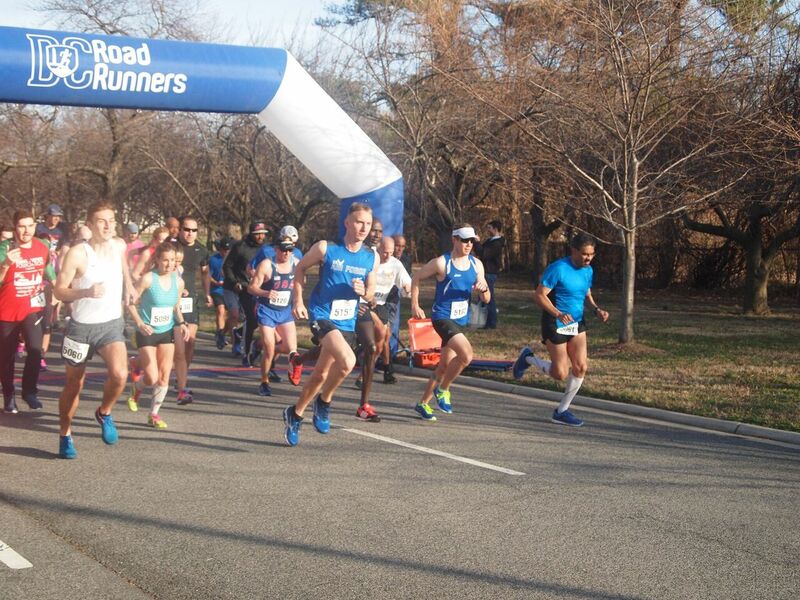 Free parking is available for this event along the Potomac River side of the Park, north of the race start. The nearest metro station is L'Enfant Plaza (approximately 1.2 miles away) and there are close Capital Bikeshare stations at both the Jefferson Memorial and the north intersection of Buckeye Dr SW & Ohio Dr SW. Both races will begin and end near the corner of Ohio Drive SW and Buckeye Dr SW, south of 1100 Ohio Drive SW. 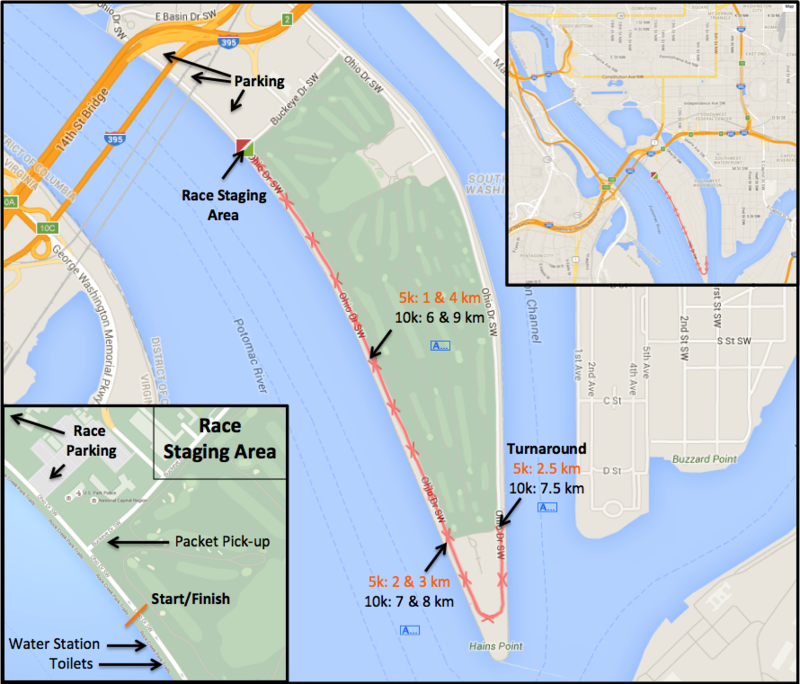 The course will follow Ohio Drive SW to a 2.5k turnaround point near the Hains Point parking area. Both 5k and 10k runners will then return to the start area, with the 10k runners completing a second circuit along the same route. 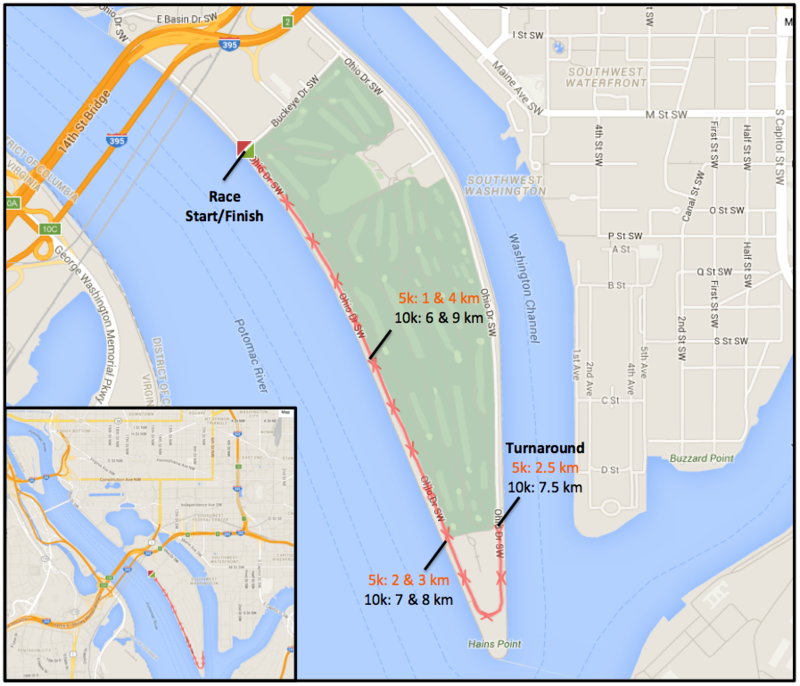 The Park Service will close off the course to all vehicle traffic during the entirety of the race. Click here for the race map. Packet pick-up begins at 7:30 AM near the start area. Both races will start at 8:00 AM. We will not be able to provide an official race bag drop area, nor can we guarantee the safety of any valuables left in your car. So please only bring essentials to the race. Due to Park Service restrictions ALL runners for BOTH distances must be off the course by 9:45 AM. 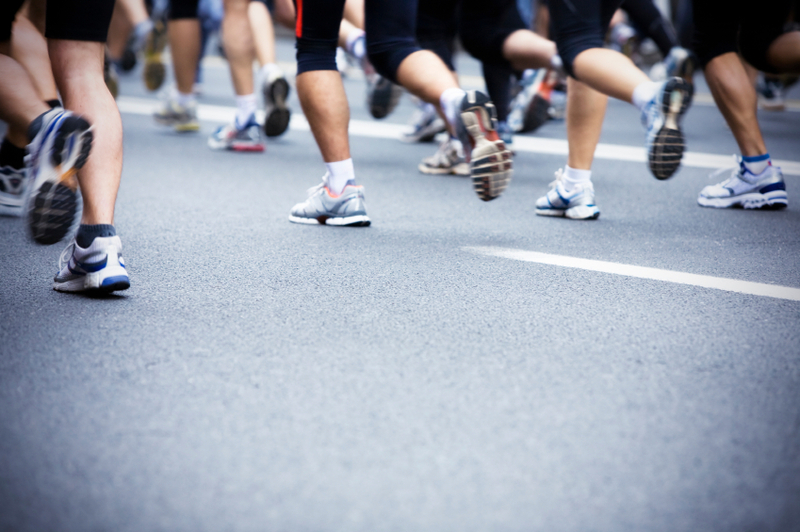 As a result, all 10k runners who do not complete the first 5k in under 40 minutes, or the first 7.5k in 60 minutes, may be asked to step off the course at that point to ensure that the course will be clear by 9:30 AM. Please take this into consideration when deciding whether to run the 5k or 10k. T-Shirt Sizes: If you find after pick-up that you would like to swap out the shirt size that you ordered for a different size, please wait to make that swap until after the race is complete to guarantee that everyone gets the size they ordered. Race day details may be subject to slight changes as the race date nears. If you want to give to EJF to help us fund our cause, but cannot make the races, please consider making a tax deductible donation here. Questions? E-mail ejf@law.gwu.edu. If you are interested in sponsoring this event, please see below and contact Elena Barberena at ejf@law.gwu.edu. The GW Equal Justice Foundation (EJF) is a student organization at the George Washington University Law School. EJF is committed to expanding opportunities for students to explore the rewards of public service and to maintaining a support system that promotes a commitment to create a more just society through the practice of law. Each year EJF organizes activities to bolster the GW public service community and raise money to fund stipends for law students who are dedicated to public interest legal work and are working in non-paid public service legal positions during their summer recess. EJF also organizes a pro bono legal project each year creating opportunities for GW students to share their legal knowledge and skills with the members of society who need them the most. The GW EJF is a non-profit, 501(c)(3) organization. Please email us for our tax ID number. Disclaimer: The views and policies articulated in these pages are not necessarily those of The George Washington University.